How Far is Shree Dev Flats? 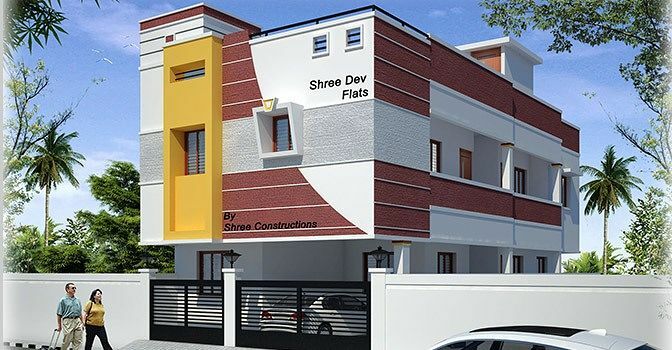 Shree Dev Flats has premium range of apartments with a well planned structure. Adheres to high standard of urban living and designed to effectively use the available area. Each apartment is carefully designed to ensure you get the best of everything, beautiful interiors, ample ventilation, top class amenities, high quality fittings and sophisticated accessories. RCC Framed structure with brick/ fly ash / solid block masonry & plastering. Kitchen top with black granite & stainless steel sink. All the main doors are teak frame with teak doors. Inner doors are country wood frame with water proof flush doors. All the windows frames are of upvc frame pinned glass with shutters. Toilet doors are of water proof filmcoated door. are of parryware, (or) hindware, CP fittings are jaguar continental (or) equivalent make. points with Anchor Roma, (or) Modular switches. 3 phase EB connection for all flats.